Bellator 208 is in the books and we got to witness some truly amazing performances from some veterans of the sport. 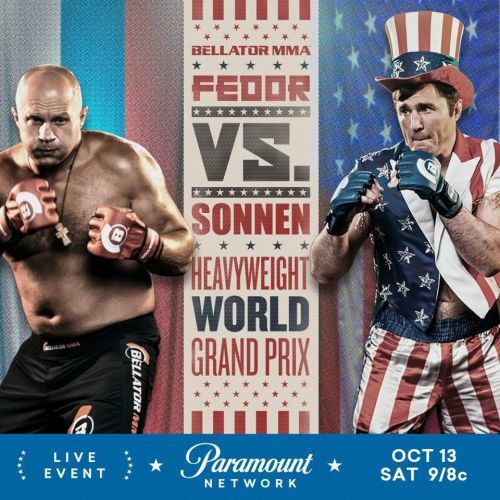 Fedor Emelianenko turned back the clock to deliver one of his finest performances as he knocked out Chael Sonnen in the closing seconds of the first round of their Bellator Grand-Prix Semi-Final main event fight. With this victory, 'The Last Emperor' booked himself a place in the tournament's final to face the Bellator Light Heavyweight champion Ryan 'Darth' Bader with the Bellator Heavyweight Title on the line. In the co-main event of the night, Benson Henderson also returned to winning ways with a master performance defeating Saad Awad on points (30-27, 30-26, 30-26). Henderson's performance, as well as his post fight interview where he was vocally critical of the Khabib-McGregor post fight fiasco, caught the eyes and the ears of a lot of fans and professionals worldwide. Cheick Kongo also returned to deliver a devastating knockout when he finished Timothy Johnson in just 68 seconds of the first round. With this win, Kongo extended his win streak to 7 fights and also improved on his record of the most wins in Bellator Heavyweight division to 11 wins. The event had a lot of MMA media and fighters along with numerous celebrities tuning in. You can see the best Twitter reactions here below. Ladies and gentlemen @ChaelSonnen is fIghting ... God bless America !!! The UFC Heavyweight and Light Heavyweight champion, Daniel Cormier has a clear opinion on who is going to win the Bellator Heavyweight Tournament. DC went on Twitter to announce his prediction on the upcoming title fight. No doubt in my mind that @ryanbader wins this tournament. I love Fedor, but he gets taken down by Bader and he doesn’t get up. And he can’t get tired and be so reckless. Gonna be fun to watch. The world was both impressed with Benson Henderson's win as well as annoyed with his post-fight speech. Henderson received both praises and hate on social media for his fight and post-fight actions. Watch the post-fight speech and the Twitter reactions below. Meanwhile, there was nothing but love and praise for the 40 fight veteran Cheick Kongo after his stupendous knockout win. It was a fun night for the MMA and Bellator fan base throughout. The world got to witness amazing performances from real pioneers and legends of the sport, and everyone tuning in was definitely entertained. Bellator MMA continues to put forward stacked cards such as Bellator 207 and 208 with top world class talent and intriguing fights. It's a two-week break for the MMA community before the sport's top promotion, UFC heads to New Brunswick on October 27 with a Light Heavyweight headliner of Volkan Oezdemir and Anthony Smith.